One night I was going to meet *Brian for dinner after work. I thought *Brian's pictures looked nice and our conversation thus far seemed pretty great. When I arrived at the restaurant *Brian was already there waiting for me at the table. I sat down and from the second I sat down he had me laughing. He had me smiling and laughing so hard my cheeks were aching . I could hardly eat I was worried I would spit my food everywhere. He was awkward and fidgety and dressed in clothes that were 2 or 3 sizes too big for him. He had not had a proper hair cut in months and I actually thought at one point he might have been gay, but the longer I spent with him I enjoyed his company more and more. We laughed for hours and when it was time to leave I could feel myself blushing. I didn't want this to end. I have learned about myself that men become more handsome to me the more they make me laugh. He walked me to my truck and we both could feel it was time to say good bye. This was when a pre-thought out exit or something witty to say would have been helpful, instead, when this nice man moved closer to me and leaned over I panicked. I do not kiss on the first date and clearly should have said something ahead of time, so instead of being graceful and in control...when he leaned towards me I squeaked in a weird and involuntarily "small animal warning" sort of way and then threw up my hand to give him a high five. Stunned and clearly less than impressed he looked at me funny and returned the high five. I felt like a complete moron, said good bye and hopped into my truck. Chastising myself the entire drive home. Sometimes even I shock myself with how completely idiotic I can and have been in this dating thing. My only saving grace was *Brian knew I had just started dating again, so there was some allowance for stupidity. I ended up dating this *Brian for a while. After a haircut, shave and some clothes that actually fit him he was rather handsome. Another date this same *Brian and I had was the night he wanted to show me a movie he really enjoyed. *Brian was a huge movie buff and was always watching movies. I enjoyed watching too, but I don't watch scary movies. I get really upset and because of this, just stay away from them completely. 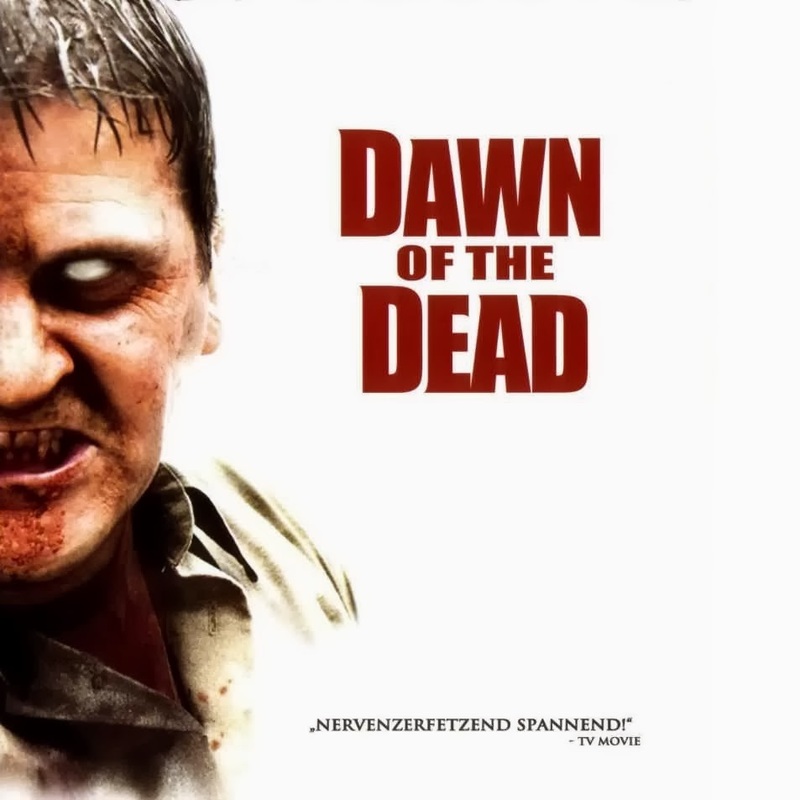 *Brian wanted to watch Dawn Of The Dead.... I had heard of this very funny movie from my friend N who, like me, enjoyed good British comedies. Thinking that *Brian was going to show me Shaun Of The Dead (not knowing about the original) spoke about our upcoming movie night with excitement and anticipation. The night of our movie date came and I was so excited to spend time with him. With the lights off we sat on the couch and *Brian started the movie. I was holding to his arm rather tightly with the music, it seemed rather ominous for a comedy, but having heard from my friend N how fun this movie was I was excited for the laughing to begin. Not 10 minutes into this horrifically terrifying movie I have now actually put literal scratches on *Brian's arm. I was clung to it like a cat avoiding an impending bath...I had my ears plugged with my pointer fingers and eyes covered with my pinkies. *Brian's scratching post arm was positioned in front of me to protect me from the hell child zombie on the screen. Finally, not being able to take one more second of this movie (We are not even 20 minutes in) I stand up from the couch and with shaking hands and eyes filled with tears I ask *Brian "when does it get funny"? I burst into tears and begin breathing rapidly. I turn all of the lights on in the house, I begin pacing the kitchen to try and force the crying to subside. With no success, tears come streaming down my face. "I can't watch that " is all I can get out between sobs, rivers of snot and hyperventilating. *Brian felt horrible and we cleared up the misunderstanding, me thinking it was the comedy and him thinking I was emotionally stable for zombie horror films, neither of us made those mistakes again. I could not sleep a wink that night and *Brian spent the next few hours just holding me. ....and so the search continues. I am grateful for morning coffee. I am grateful for the snow melting. I know spring is still a long way off, but this little break from all the cold is so wonderful! I am grateful for L. It is so wonderful having such a wonderful woman looking after my kids! I just adore her. *For legal reasons I call all the men I date Brian. I have never dated a Brian, I felt its a safe name to use to avoid slander charges.